The Civic has been one solid pillar of success for the Japanese car major, Honda Motors when it comes to global sales. The Honda Civic has been a huge household name for many years and is one of the top selling cars in the United States. So, it is no wonder that the Japanese car major sold around 22 million units of the Civic in the world. Globally with 10,245,020 million sold in the United States up to the end of August 2015. While the Honda Civic has been around for so long and has been winning over the hearts of the buyers, the immensely popular family sedan had also earned a lot of criticisms for being boring and drab looking. 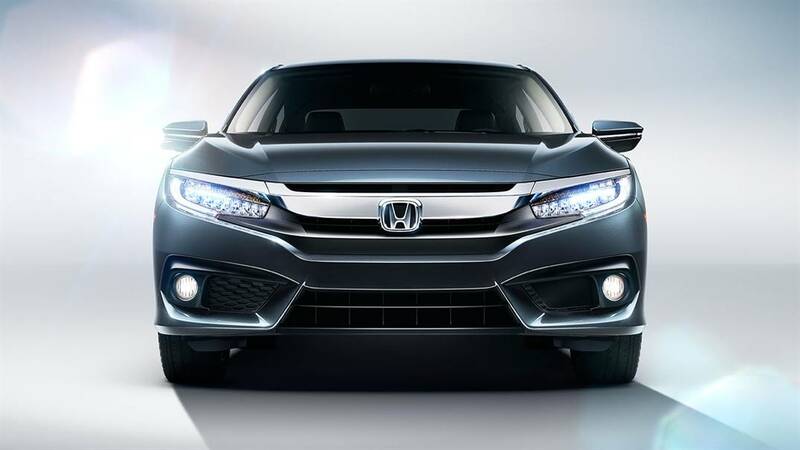 This changed with the arrival of the all new 2016 Honda Civic sedan. The 2016 Honda Civic is undoubtedly one of the best looking Civic models that Honda ever created, and it is also surely one of the best looking sedans in the current global market. Honda Motors has certainly worked really hard on removing the boring tag from the Civic and it has done a brilliant work. According to the company, the designers and engineers focused on making the new Civic sporty, while also being more premium. 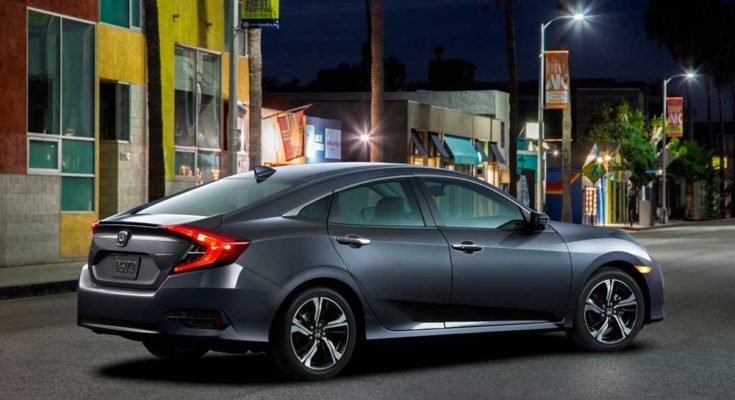 The new 2016 Honda Civic is a bigger and better car from every angle. It is longer and wider than the outgoing model making it more spacious. However, it is shorter to offer that sportier appeal than its predecessor. The all new Honda Civic measures 182.3 inches long, which means 2.9 inch longer, 70.9 inches wide meaning 1.9 inch wider, and 55.7 inches tall which means a wee bit 0.8 shorter than the previous generation model. Some of the most remarkable exterior features include LED headlights, full underbody covering for greater fuel economy and superior cabin sound insulation, acoustic glass windshield, and cap less refueling. There are a number of things that are new to the Civic and which makes the latest generation model all the more attractive to the buyers. These include Hydraulic compliance bushings for a great ride quality which is extremely comfortable as well as noise insulation. It has bigger stabilizer bars for enhanced body control. Ultra high strength steel B-pillars as well as rear frame rails for reinforced body construction and stability. The car also gets stronger aluminum rear damper brackets to enhance ride quality, Agile Handling Assist brake for stiffer handling, dual pinion electric power steering wheel with variable gearbox ratio to offer enhanced steering experience, 7-inch touchscreen integrated infotainment system along with Android Auto as well as Apple CarPlay connectivity and much more. Besides, the looks and overall better quality, the all new 2016 Honda Civic has become highly premium as well. The car doesn’t only get better and richer interior materials, but also more premium advanced features to offer an overall better ownership and value. It offers a new 7-inch touchscreen display, Remote Engine start, Push Button Start / stop, Smart Entry, electronic parking brake, heated front as well as rear seats, dual zone automatic climate control system, automatic rain sensing wipers, driver’s assist technologies and Honda Sensing safety. The all new 2016 Honda Civic is available in the international markets in a total of 5 trim models namely – LX, EX, EX-T, EX-L and Touring. The base level LX model offers the standard features of Bluetooth HandsFreeLink and Streaming Audio, multi angle rearview camera along with guidelines, LED DRLs, a 5-inch color LCD screen. Things get really cool and super exciting from the next trim which starts offering great things including 7 Inch Display Screen Audio with Electrostatic Touchscreen, Heated Side Mirrors, remote and push button start, HondaLink, Honda LaneWatch, Apple CarPlay and Android Auto, One Touch Power Moon roof along with Tilt Feature, and etc. When it comes to the interiors, the new generation Honda Civic obviously offers better space with more leg room as well as foot room for the rear passengers, which along with better materials translates into greater comfort for the occupants of the car. When it comes to power, the new 2016 Civic Sedan’s LX as well as EX models gets powered by a 2 liter 4 pot motor that has the capability to churn out a max power figure of 158 horsepower and peak torque of 138 lb-ft. The sedan’s EX-T, EX-L and the Touring model trim come equipped with a 1.5-liter 4 pot turbocharged motor which is able of generating a peak power of 174 hp and 162 lb-ft of top torque. When transmission duty is concerned, then the all new 2016 Civic Sedan’s LX model trim is the only variant which is offered with a 6 speed manual transmission option, while all the rest of the model trims including the LX are equipped with a Continuously Variable Transmission gearbox unit as standard. Honda Civic with the 2.0 liter engine and 6 speed manual transmission gearbox – 27/40/31 mpg. Honda Civic with the 2.0 liter mill along with CVT gearbox – 31/41/35 mpg. Honda Civic with a 1.5 liter turbocharged motor with CVT – 31/42/35 mpg. Thus, considering everything, it is easily understandable, why the all new Honda Civic sedan is such a great hit in the global market. The latest model is everything that the Civic lovers could wish for, it is highly attractive and sporty, sturdier with a more fun drive quality, great new features, more premium quality, better space and enhanced fuel economy. So, the all new 2016 Honda Civic sedan is the best Civic ever.